Excited about the new laptops with AMD Ryzen Mobile Processors? We sure are! With AMD’s Vega GPU’s built-in, we expect some punchy graphics performance out of these 15W CPU’s. AMD Ryzen Mobiles processors are the low-power processors for the laptop market. AMD Ryzen Mobile series processors are the most advanced mobile processor from AMD to date. As of now, AMD has launched four Ryzen Mobile series processors. AMD is targetting all of these processors for the Ultrathin and light laptop segment. As per AMD, these processors compete with Intel’s 8th Generation laptop processors. The results look impressive, to begin with. However, a more comprehensive review would make things more transparent. In order to understand the differences, do read our article on Ryzen mobile 2500u vs 2700u. AMD Ryzen 7 2700U Processor comes with Radeon™ Vega 10 Graphics while the AMD Ryzen 5 2500U comes with Vega 8. By developing these 15W TDP powerful processors, AMD is focusing on the thin and lightweight notebooks that are currently Intel dominated. There are only a few laptops that have been revealed or launched so far. Let’s explore which laptops are currently available with the AMD’s Ryzen Mobile processors. 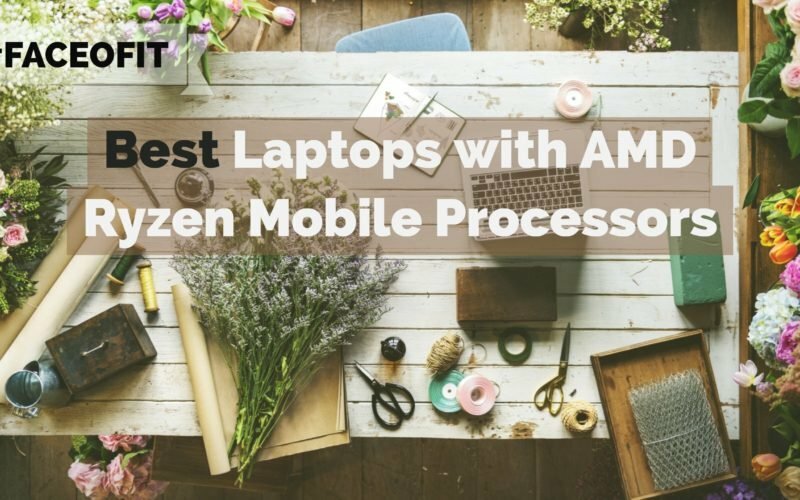 Here, we have compiled a list of best laptops with AMD Ryzen mobile processors. We expect to see more convertible laptops with Ryzen 5 & Ryzen 3 while the Ryzen 7 should come in a standard form factor. We could be wrong though. Anyway, let’s check them out! 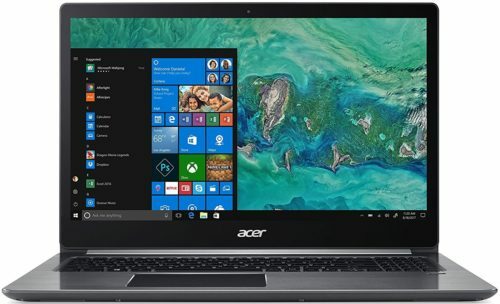 It is one of the first laptops that was launched with the AMD Ryzen Mobile processor. 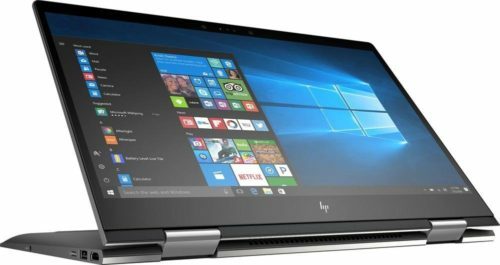 HP Envy X360 is a versatile convertible touchscreen laptop. It is powered by AMD Ryzen 5 2500U quad-core processor which has a base clock speed of 2 GHz and maximum turbo core speed of 3.6 GHz. The processor is coupled with AMD Radeon Vega 8 graphics card. It is available in three RAM variants, so you get the option of 8 GB RAM, 12 GB RAM, and 16 GB RAM. Storage will be offered with SSDs up to 512 GB and HDDs up to 1TB. HP Envy X360 comes preloaded with Windows 10 Home OS. A more power efficient processing chip gives up to 11 hours of battery life and unexceptional performance. USB Type -C provide power. The pricing starts from the $799. Acrer Swift 3 with AMD Ryzen Mobile processor is yet to come in the market, but we have the specifications of it. There will be two laptops, one with AMD’s Ryzen Mobile 2500U and the second one will be powered by AMD Ryzen Mobile 2700U. The laptops have a metallic chassis and 15.6-inch full HD IPS display. Ryzen 5 Mobile and Ryzen 7 Mobile have Vega 8 and Vega 10 integrated graphics respectively. The new notebooks will have 8 GB of DDR4 memory. The storage will be either 256 GB SSD or 512 GB SSD. Ryzen Mobile based Swift 3 can’t be called a thin or lightweight as the device weighs 2.2 Kilograms. Both units will have two USB 3.0 Type-A, one USB 2.0 Type-A and one USB 3.0 Type-C port. As per spec sheet, Swift 3 will have 3320 mAh battery, and pricing will be $750 onwards. Processor and Graphics AMD Ryzen 5 2500U or AMD Ryzen 7 2700U with Vega 8 or Vega 10 integrated graphics respectively. 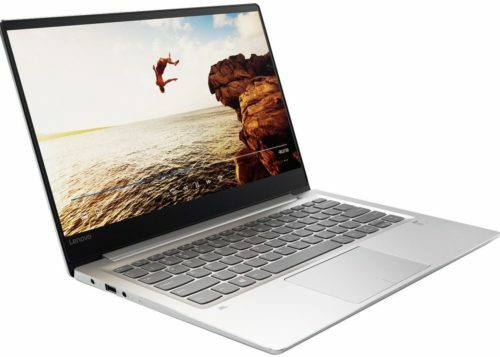 Lenovo Ideapad 720S comes in two variants, either with Ryzen 5 2500U or 7 2700 U. The laptops will be an ultrathin model, with a 13.3-inch screen. It is very lightweight with the quoted weight of 1.14kg. The laptop might have 1 TB SSD drive and will be powered by a 48Wh battery. It will have a USB Type-C port. It will have single-channel DDR4 memory, so there is no room to upgrade to dual channel. Dell has introduced three new models powered by AMD Ryzen mobile processor. Dell Inspiron 15 5575 features a 15.6 inches Anti-Glare display. The base model gets an HD display while the rest two have a full HD Anti-Glare display. The base model is powered by AMD Ryzen 3 2200U mobile processor with Vega 3 graphics coupled with 4 GB RAM. The second is equipped with more powerful AMD Ryzen 5 2500U mobile processor with Vega 8 graphics along with 8 GB RAM. You can add a maximum of 32 GB RAM on all the variants. Dell Inspiron 15 5575 gets 1 TB 5400 RPM drive. It packs two tuned speakers with audio processing by Waves MaxxAudio Pro. It receives a widescreen HD camera with digital microphone for video calling. This laptop gets plenty of ports which you can find in the table below. Dell Inspiron 13 7000 is a 2-in-1 convertible laptop with high-end features and powerful processor specially designed for the convertible laptops. It has a 13 inches full HD IPS Truelife LED display. It is equipped with AMD Ryzen 5 2500U processor with Vega 8 graphics. It comes with 8 GB RAM and supports maximum up to 16 GB. For storage, it has high speed 256 GB SSD. This device is not made only for work but also for entertainment. It delivers cinematic sound with MaxxAudio Pro. Stunning full HD touch display provides a bright picture quality with vivid colors and incredible details. Plus, with SSD drive the data delivery and apps performance have increased by a right margin. Its built-in infrared camera works with Windows Hello to unlock the PC by recognizing your face. AMD Ryzen Mobile processors have just hit the market. It will take few more months to see a whole lineup of laptops powered by AMD’s Ryzen Mobile Series processor. If you can wait it is good, otherwise, you can choose from the few options above. Version 12GB of RAM seems to be stupid since you loose Dual Channel which is really important if you plan to use 100% of the integrated GPU.